New Tecumseth represents the combined communities of Alliston, Beeton and Tottenham and is located in the south end of Simcoe County. Due to it being just north of Greater Toronto Metropolitan Area, it is growing in popularity among buyers for its affordability and close proximity to Toronto and Barrie. A family with a median income of $77,000 can enjoy an exceptional quality of life in New Tecumseth. With 8 elementary, 2 high schools, parks and golf courses there is plenty of fun for everyone here. The unemployment rate is below average as compared to other cities in Ontario. The majority of residents are proud home owners in New Tecumseth. With a population of over 30k this area has plenty of green space for outdoor enthusiasts and nature lovers. There are many hiking and biking trails and conservation areas. The average monthly mortgage rate (depending upon various factors) comes in around $1400. Many young families who are looking for affordability and better outdoor space are opting to live New Tecumseth. For people who are looking to sell their home in New Tecumseth, average asking price for a single family detached home has increased by 18% over the past year. 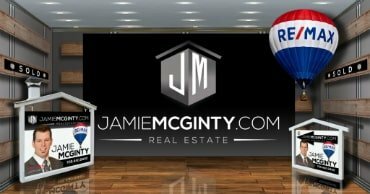 Jamie McGinty is one of the highest producing real estate teams in New Tecumseth. He has been helping the residents get top dollar for their homes and has successfully sold over 600 homes with an average of less than 10 days on the market. For homeowners in Alliston, Beeton and Tottenham looking to sell their property he offers top notch real estate services as well as for all clients he provides the best professional photography, high definition home tour videos and aerial photography. Jamie McGinty and his team live in New Tecumseth and therefore have in depth knowledge of the neighbourhoods and the current selling prices. They also offer professional home staging services for their clients. Related Items: Looking for Houses for sale in New Tecumseth, New Tecumseth homes for sale or New Tecumseth Real Estate? We can help!